I recommend to your notice & kindness my friend Mr. W. Bankes a gentleman of the first distinction in character, family, & fortune, in this country. – As he will be some time in Albania your acquaintance will be of great advantage to his pursuits, & if he finds it as agreeable &c as Mr. Hobhouse & myself did I trust he will remember it with the same pleasure. – I hope you & Ali Pacha go on well together – Leake is still in this country. – Believe me ever yrs. 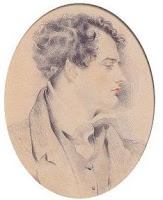 — Lord Byron writes to George Forresti a letter of introduction for William Bankes, who is planning to go abroad because of and to practice his orientation, December 26, 1812.